Earthbound is one of the few import titles to get a place in this list. But this is a special case anyway. 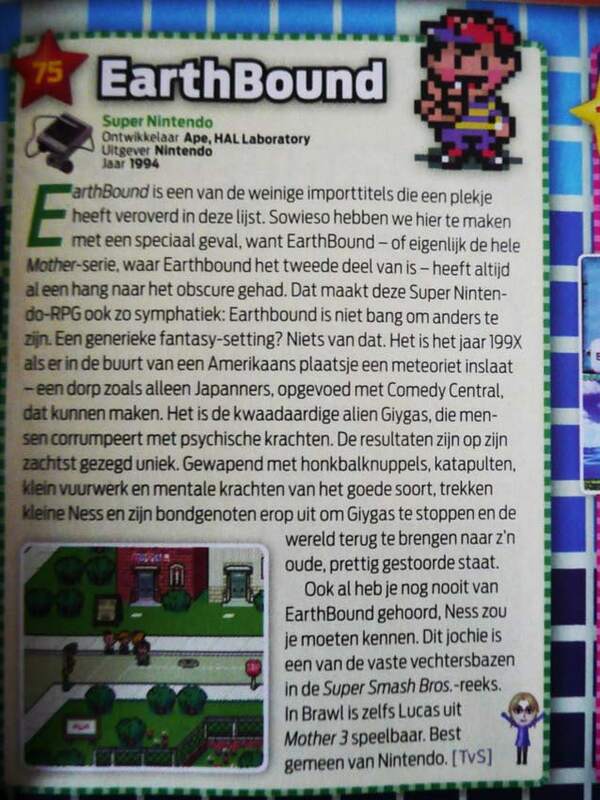 Earthbound – or actually, the entire Mother-series, from which Earthbound is the second game – always liked the obscure. That’s what makes this Super Nintendo RPG so lovable: Earthbound isn’t afraid to be different. A generic fantasy-setting? Nothing of the sort. It’s the year 199X when a comet crashes in the neighborhood of an American place. A town that could only be made by Japanese people who grew up with Comedy Central. It’s the evil alien Giygas who corrupts people with his psychic powers. The results are unique. Armed with baseball bats, catapults, small fireworks and mental powers of the good kind, little Ness and his allies go on an adventure to stop Giygas and bring the world back to its old silly self. Even if you have never heard of Earthbound, then you should still know Ness. This kid is one of the veterans in the Super Smash Bros series. Lucas from Mother 3 is even playable in Brawl. Pretty mean of Nintendo. The “mean” part is of course referring to the fact that Mother 3 was never released outside of Japan. Aren’t there multiple versions of NGamer magazine out there? Is this the Dutch translation of something else, or is this 100% original stuff? Wow! 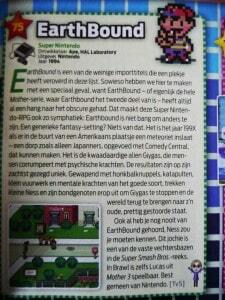 I didn’t know they had Earthbound in so many places around the world in magazines and stuff! There indeed are multiple Ngamers. They stated that they were not related tough. It bugs me still today that they put Lucas in Brawl, but didn’t put MOTHER 3 in america! @Cre’lus, Apparently Lucas in Brawl is supposed to MAKE UP for the MOTHER 3 unappearence in America, that kind of offends me!